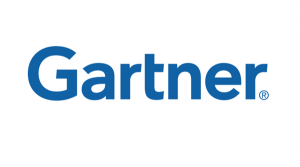 Tech analysis agency Gartner just issued a notice predicting that roughly a third of the world’s digital content will be kept on the cloud by 2016. Cloud computing traction is accelerating from both SMEs and large enterprise users now. The cloud provides software, apps and certain services on a pay-per-use basis, whereas in the past they were required to set up their own IT infrastructure in order to host the apps and services on their own. In addition to the accelerated increase in the adoption of tablets, smartphones and other portable computing devices, users are now able to gather huge amounts of data, particularly photos and videos. Sooner rather than later, they’ll find that they will need far more storage than their device and its expansion capabilities can provide. According to Gartner’s prediction, the consumer digital storage needs of the world will increase from 329 exabytes in 2011 to 4.1 zettabytes in 2016, based on digital content stored on PCs, smartphones, tablets, HDDs, NAS and cloud repositories. Gartner principal research analyst, Shalini Verma, states that while consumers have traditionally stored content on their personal computers, we are now entering a post-PC era. Consumers are using various interconnected devices, which will lead to a huge and sudden increase in user-generated content needing storage. The emergence of personal clouds gives the growing consumer digital content a chance to quickly become disaggregated from their devices. Gartner also posits that social media sites will step in and do their part in providing cloud storage by hosting photos and videos from users who want to share their content. This will result in average storage per household increasing to 3.3 terabytes in 2016, from the mere 464 gigabytes figures of 2011. Gartner believes that the rapid increase in cloud storage needs will include users who have become increasingly dependent on camera-equipped devices. This includes tablet PCs, smartphones, and portable gaming consoles, at the forefront. This is because consumers are first trying out basic, free cloud services provided by companies, only to sign up for paid accounts once they realize they have a need for premium services. While local storage will remain the primary means of hosting consumer digital content, Gartner predicts that it will progressively drop in share by 2016, dropping sharply from 93 percent in 2011 to 64 percent in 2016. Gartner also predicts that the majority of the growth in cloud storage will come from Western Europe and North America, while Japan and South Korea will be showing the highest growth in the Asia–Pacific Region. So, what are the trends in the cloud market? However, all segments of the cloud computing market will be influenced by the overall state of the economy and global demand for IT services. Cloud computing is a attractive growing market particularly for SMB customers, but offers significant potential for organizations of all sizes. That’s why many managers are eager to implement cloud computing services and products while others are slower to adopt cloud-based solutions.